I took some quick pics last night. According to the website they have 9mm, 5.56x45, and 7.62x51 brass ammo. I didn't notice any 5.56x45, but I wasn't looking for it either at the time. Quote: Our high quality ammunition is manufactured to NATO specifications in state of the art facilities. ZQI Ammunition is committed to helping meet the demands of Americans for reliable and accurate brass cased, boxer primed ammunition. Quote: Leveraging strong business relationships in Turkey, ZQI now functions as the exclusive distributor in the United States of ammunition products manufactured by MKEK. Apparently it is currently only available at Wal-Mart. I didn't do any calculations, so I wasn't sure what that translated to per 50 rd box. You guys who price it per round are freaks. Holy bat-crap - that's $20.70 per 50 rounds!!! To be fair, you DO get an ammo can, BUT that still only brings down the ammo to about $19.85/50. I was thinking the same thing. That's no deal at all. 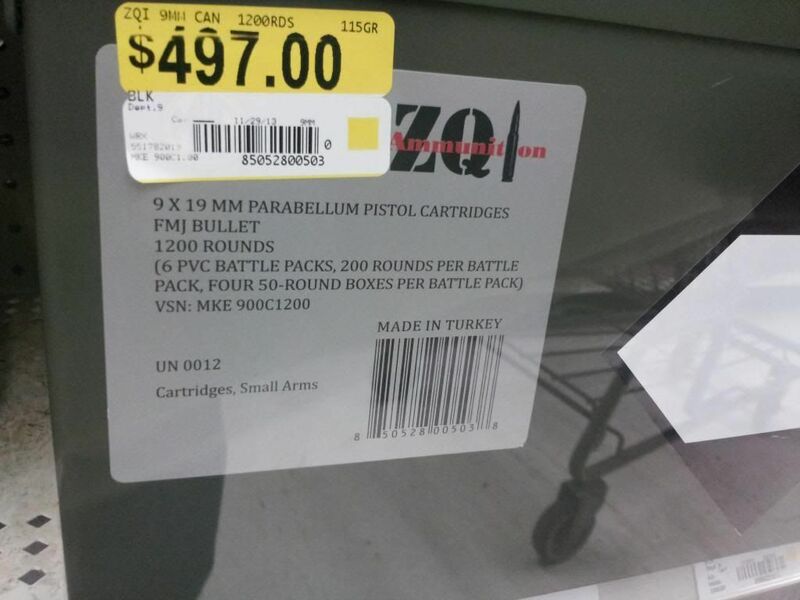 I hope Walmart isn't going to price gouge ammo. Hell, they could even have a huge stockpile of ammo and release it slowly and sporadically to keep demand and price up. This isn't a "deals" thread. Just trying to stimulate the forum wit some GUN talk and maybe bring some new members in when they start Googling this ammo. That said, I'm really shocked at the price because typically, these "mystery imports" have hit the shelf at prices a bit lower than well-known, name brand stuff. Those cans will either sit there until they rust, or some retard will buy it not knowing that 9mm is no longer made of unobtainium. 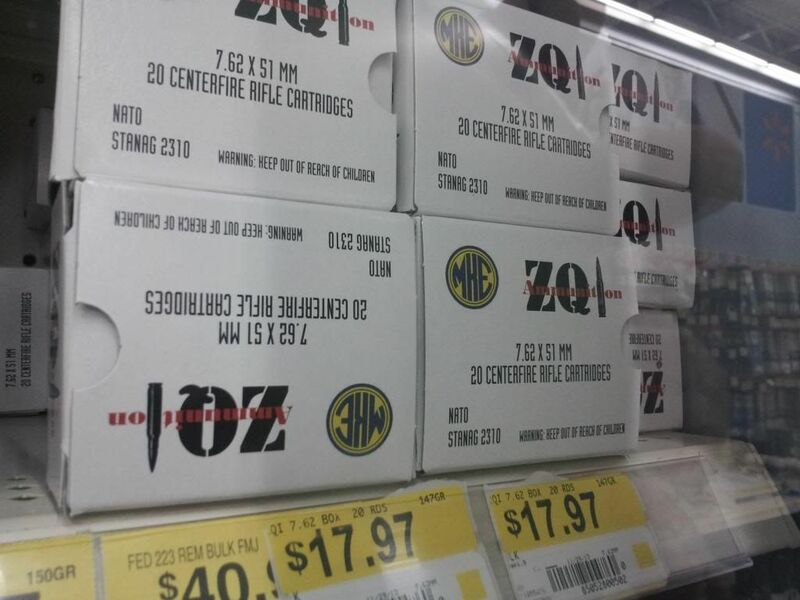 I saw both the 9mm and 5.56mm ammo cans at the Wal-Mart in Northeast, MD. DeadEye;127853 Wrote: I saw both the 9mm and 5.56mm ammo cans at the Wal-Mart in Northeast, MD. Yes, both of them were in the $450 range, although I don't remember the exact price. There were still some left, yesterday when I was there. I have a feeling it will be a while before we hear any sort of feedback on this ammo.